The New York Public Library has taken digital reading to the next level by creating a new interactive reading experience on Instagram called Insta Novels. Could books on Instagram be the future of reading? Insta Novels is an initiative to increase the availability of classic novels and bring them to followers of The New York Public Library Instagram account (@nypl). Classic literature such as Alice in Wonderland by Lewis Carroll (including art from well-known designer Magoz @magoz), The Metamorphosis written by Franz Kafka (illustrated by César Pelizer @cesarpelizer) and The Yellow Wallpaper written by Charlotte Perkins Gilman (illustrated by Buck @buck_design) will be released in snippets via Instagram stories. 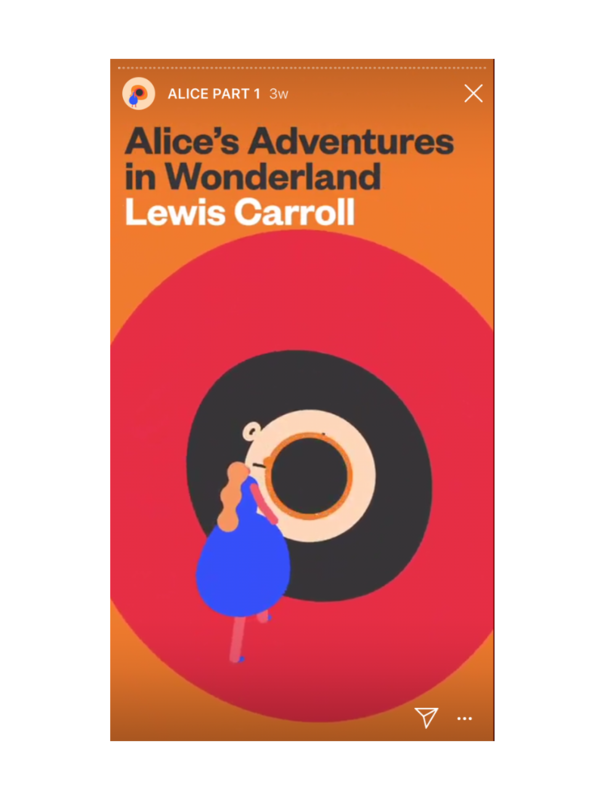 The first book on Instagram to get the Insta Novel treatment is the trippy family favourite Alice in Wonderland. The text will be included in full and bottom right of the corner will always be clear as you can hold this part of the screen to pause the page in case it’s going too quickly for you to read. You don’t have to worry about catching up with the account daily to follow the books, each Instagram story will be saved as a Highlight so followers can catch up any time. The New York Public Library’s innovative initiative cuts out boundaries of location and membership, allowing their worldwide audience to participate in both their business and their chosen classic novels. However, the big question is how does it read? Personally, I find reading on a phone screen (my trusty old iPhone 6 to be precise) just too small but when I tried it on my tablet I loved it. So far it’s only Alice in Wonderland online but the art is wonderful and the reading is easy. The only slight downfall in this style of reading is finding your place again. The story is quick to skim through but until you can tag a specific story page, that’s going to be an issue. Books on Instagram might not be my ideal form of reading but it certainly has the potential to catch on and The New York Public Library has done it in style. If you like this then check out the Harry Potter mobile phone game.